Well folks, we’re finally in the great month of October and that means Halloween is just around the corner. And what good is Halloween without a solid dose of horror? During this time of the year it’s nearly impossible to avoid horror films, whether you like them or not, so sit back and take it all in because there’s no excuse to avoid the best genre that cinema has to offer. To start things off, I have pulled together a list of some of the best recent horror films out there because despite how good a classic is, some people just don’t like them. If you’re not a fan of dated special effects and questionable acting, then this list outta be right up your terrifying alley! I think of horror films as art, as films of confrontation. Films that make you confront aspects of your own life that are difficult to face. Just because you’re making a horror film doesn’t mean you can’t make an artful film. You may not recognize the film, but you’ll surely know the name behind the madness as this is the film that really put director Alexandre Aja on the map. It’s a simple enough set-up as two college friends go out to the countryside to visit Alex’s parents. But seeing as how this is the horror genre, and Alexandre Aja knows how to weave a terrifying tale, the simple set-up turns into a horrifying game of cat and mouse when a killer shows up on their doorstep. It would be hard to find a horror fan out there who doesn’t praise High Tension as one of the best horror films of the last ten years. One of the very few films that’s so good that people tend to forgive the plot holes and batshit crazy ending. Scott Glosserman’s directorial debut is not only a brilliant indie film but it’s also one of the most underrated horror flicks out there. I can never pass up an opportunity to spread the word on this one because it’s a horror film for horror fans and an absolute must see if you consider yourself a fan of the genre. 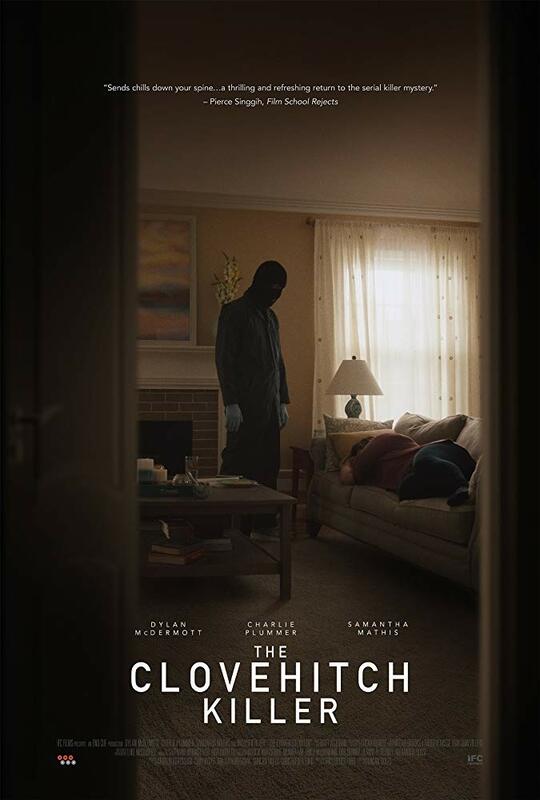 The film is about a small-town serial killer who has given a documentary crew exclusive access to his life as he plans his reign of terror over the sleepy town of Glen Echo. With endless nods to classic horror films as well as a terrifyingly charming lead in Nathan Baesel, Behind the Mask is one of the most original and entertaining horror films around. Oldboy directer Chan-wook Park tackles the vampire genre with Thirst, painting a horrifying portrait of vampire romance in what is one of his very best films. If you’re looking for not only a good horror film to watch this Halloween, but a vampire flick that is actually true to the genre then there’s no doubt that you will find a lot to love about this one. The film follows a priest whose life takes a horrible turn after he participates in a medical experiment to find a cure for a deadly disease. I hardly need to explain why you should check this one out if you haven’t already. Surely the idea of Chan-wook Park directing a vampire flick is reason enough, no? Perhaps one of the ballsiest endings in horror history comes thanks to Frank Darabont who not only changed it from Stephen King’s original short story, but got the Master of Horror himself to say that he loved the ending and wished he’d thought of it himself. How’s that for an endorsement? When a thick fog blankets a rural community and takes the lives of anyone unfortunate enough to be caught outside, a small group of survivors look for refuge in a local grocery store. This is one of my personal favorite horror films of the last few years because it has an old school creature feature feel to it while infusing some down right chilling scenes of pure horror. With an ending that will forever be talked about amongst the horror world and spot on acting from Thomas Jane, The Mist is truly an unforgettable film. The second vampire film to crack the list is Tomas Alfredson’s brilliant adaptation of Let the Right One In. Not only is this one of the best horror films the genre has seen in years, but it’s easily among the best vampire films ever made. It’s a truly original and beautiful take on the genre that will leave your jaw on the floor well after the credits roll. It’s about a bullied boy finds love and revenge through Eli, a beautiful but strange girl who turns out to be a vampire—I hate what that happens! Much like Thirst, if you’re looking for a vampire tale that stays true to the genre while standing out from the rest, then you owe it to yourself to give this one a watch. I consider Michael Dougherty’s Halloween-themed anthology essential viewing for the month of October, which is why it had to land a spot on the list. You’ll see right away that Dougherty brilliantly captures the atmosphere of Halloween as it’s littered with jack-o-lanterns, costumes, and of course, trick or treating. 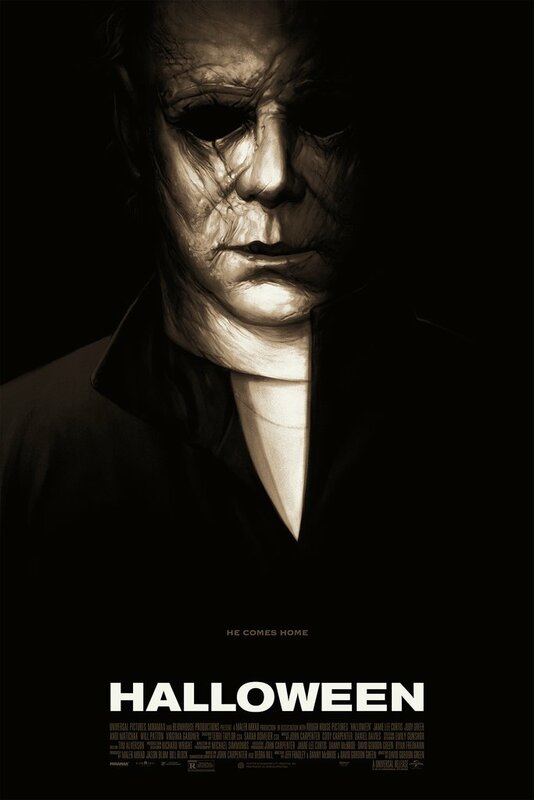 The film seamlessly weaves four different stories together that take place on Halloween creating one of the best American horror anthologies of all time. This is truly a gem in the horror genre and easily the best Halloween set film since John Carpenter’s 1978 classic. Alright folks, that will wrap up this week’s Movie Guide. I’ll be trying to do one every weekend up until the big day so stay tuned! Please take a second to answer the poll below! Good god man. That was a hard vote. Thirst is amazing and came at a time when we needed an original vampire flick. Trick or treat is fun.. another horror comedy we needed. And let the right one in is a masterpiece. so yeah.. had to go with Thirst though. Good call Nick! I’m glad it wasn’t an easy vote, that means there’s plenty of good ones on the list! Thirst is a fantastic movie so you definitely went with a solid one. Thist was my vote, Trick or Treat taking second place. I was gonna ask a question to bloggers, you’re the best place to start I think. What are your favourite horror films? I’ve seen so many, need some new ones for October. Hopefully as the lists go on you’ll find something new that will grab your interest! It depends on what kind of horror are you willing to watch. I tried to watch “The Strangers” with my husband, and we couldn’t finish, it made him extremely nervous and he wasn’t loving the moment at all. Are you up for gore, psychological, complex or just commercial horror? I’m up from anything, so long as it is good. I’ve seen everything from The Conjuring to Martyrs and all in between. Martyrs was great. If you want to watch something that is very insane, but well done I will recommend “Dumplings” is a 2004 Hong Kong horror film, directed by Fruit Chan. It has a little bit of everything, not predictable at all. Other movie, that I really liked, was “Shutter”, it goes more to paranormal horror, but unique in his kind. I’ve seen Dumplings, it was crazy…I haven’t seen Shutter, may give it a watch…thanks!! I had to vote for Let the right one in because is one of my favorite horror movies, but I think is extremely romantic (in an artistic way) so I’m not sure is the best pick for Halloween, but totally recommended for an odd Valentine. Love your page, I don’t watch anything without research your reviews first. That’s a great choice Daniela! I never thought of it as an “odd Valentine” kind of movie, that’s awesome. Glad to hear it and thanks for visiting, it really means a lot! Great list! Let The Right One In is my favorite, but I threw The Rise of Leslie Vernon in my Netflix queue since I’ve never seen it. I’ve hard Trick ‘R Treat in there forever and still haven’t got around to seeing it. I need to get on that. Brittani, you’ll really like those two. Definitely give them a watch as soon as you get a chance! I absolutely LOVED “The Mist”. So much that I bought the Region1 DVD (Ireland is Region 2), but have never watched the bkack & white version. I’m definitely gonna have to duat that off for the season. Dude, the black and white version is so good. It’s like watching a horror flick from the 1950’s but with CGI. Definitely check it out! Wow. I’m a slacker and have catching up to do. I’ve seen zero of these. Haha oh no! Well it looks like you’ll be busy this month! You can catch a lot of these on Netflix I’m pretty sure. So if you have netflix then you should be set. Wonderful list. A few I haven’t checked out on there, but will definitely do so now! Thanks! Glad to hear I hit a few you haven’t seen. Get too it! Right on Tyson! I try to as often as I can. You know how it works! I need to see the films in this list that i haven’t yet! Great post. I had a hard time deciding between Let the Right One in and High Tension…Had to go with HT in the end. It’s just too perfect. I picked HT as well. It’s just so well shot and the tension Aja creates is insane. Solid choice!